So this week I went crazy at the Half-Price books again, but I figure because I have a job right now I'm actually stocking up for the Winter in South Dakota when I won't be able to get as many books! Congrats on being the advocate! :) I also signed up but I didn't get accepted but anyway, I have Illuminate on my Kindle and I can't wait to start it so tell what you thought! :) Also, Fracture was a really good book and I hope you enjoy! I loved Glimmerglass! 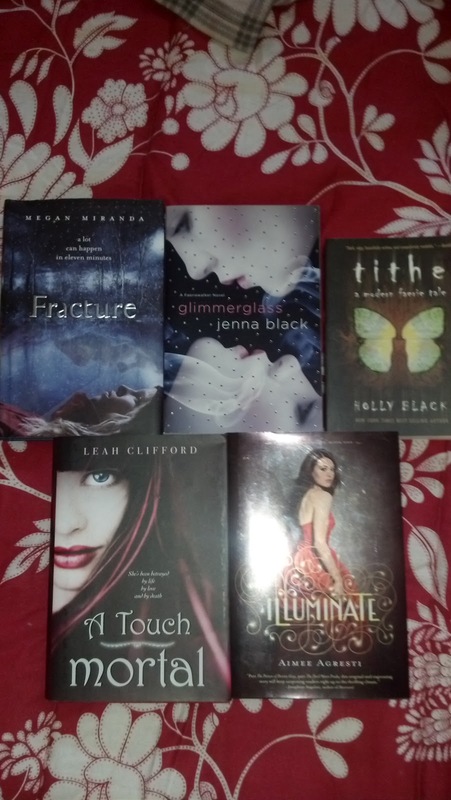 I've been wanting to read Fracture and A Touch Mortal. They sound great. Happy reading and thanks for stopping by! Team Alex! Illuminate looks great and I've always been interested in A Touch Mortal. Your book haul is great this week. Love the Team Alex picture by the way! Huge Hunter Perish fan :) Happy reading! Great books! I soooo want to read Fracture! I hope you like it! Fracture was a great read. Different than most! I haven't read Illuminate yet because it looks so daunting. The thing is like a brick! 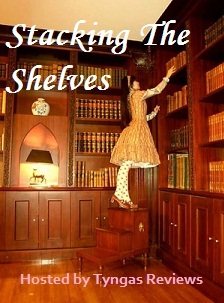 Enjoy all your wonderful books! 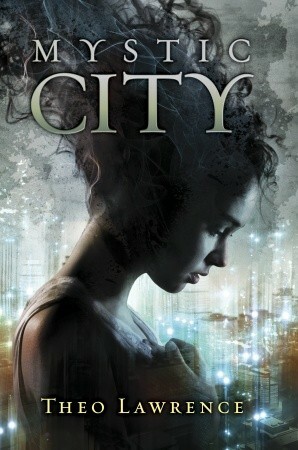 I have not read any of these books, but I've added A Touch Mortal and Mystic City to my TBR list. I'm a new follower of yours. Thanks for visiting me! Awesome haul. I am so jealous of Mystic City, I want that one bad, it sounds really good. I've only read Tithe from your list, but several others have been intriguing me for a while. Great haul! I never heard of Glimmerglass before but I checked it out and it looks interesting. Congrats on being Team Alex!!! I am so Team Alex. I can't wait to read the next book. I love going crazy at Half Price Books!! SO much fun. ;) Anyways, I have Illuminate on my shelf and I definitely need to get to it soon! It looks really great. =) And congrats on being the advocate for Team Alex!! Great haul! Fracture looks SO good, so I'm pretty excited to see what you think of it. I adored Fracture! Enjoy! 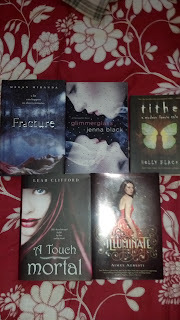 I haven't read any of the others, but hopefully they're all fantabulous! Great haul! I hope you like Illuminate cos i certainly didn't and couldn't lol..but we're all different so who knows..anyways, awesome haul! Happy readings!